Many people would throw their hands up in horror at the thought of putting their beloved family pet into a cage, or crate as they are sometimes known. But these items, rather than tools of torture, can keep a pet safe whilst in transit and give them a place to sleep and think of as a home from home. There are many forms of cage and safety bars available for the family car. 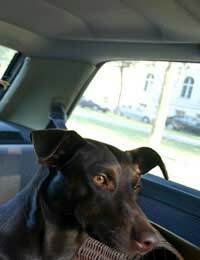 A pet that is allowed to travel loose in the family car can, if they are involved in an accident, become a dangerous missile that could maim or kill another passenger. Many companies will design and fit a strong metal cage that will fit the car so that if the car should roll over in an accident the dog will just be shaken rather than injured. Look for a car cage that not only has a rear access but one at the other end in case of emergency. If the cage is for home use ensure that it is large enough for the pet to be able to stand and move around. Again, two doors are ideal that way you will be able to place it in different areas of the room without covering up the doors. Cages are collapsible so you could collapse them down and travel with them to your holiday destination – they may even double as a car cage as well. It is also possible to purchase a rubber-covered top that can double for a grooming table – ideal for the show person. A new invention is the soft cage/holder that can be collapsed for travel and then put up in the hotel room or ringside at a show. Although not safe enough for pets to be left alone they are an escape place for the pet and a place for them to sleep. Many pets get to enjoy their cage and treat it as a bedroom. Although it would be unfair to keep a pet caged for long periods of time they are ideal when the home is full of visitors or a puppy is prone to chewing when left alone. When travelling with a caged dog ensure that there is a through put of air. In summer especially a car can become very hot and dogs have been known to die from heat exhaustion. Most cages will have a base that is built like a tray that can be removed for cleaning purposes. Always put a blanket into the cage as a dog lying on the Base will be most uncomfortable and if made of plastic will become hot and sticky. A washable fleece is the best idea as it is easily washed and dried. It is not advisable to leave food in the cage whilst travelling. A dog can choke if he eats whilst on the move and it may be impossible for you to stop the vehicle in time to save him. There are water bowls available that have a lip around the edges so that the water does not slop out whilst being moved. For home use there are stainless steel bowls that can be attached to the side of the cage so the puppy or other pet does not play with the contents and soak the bedding. Technology has reached the pet industry. It is now possible to have solar powered fans and air blowers that attach inside toe car and are run from one panel that clips to the car window. Also, silver backed covers, rather like the ones used by marathon runners, can be thrown over the car cage or car windows to keep the inside of the car cool in hot weather. Never leave you pets in a car during warm or hot weather - They will die!